For those of you that have ever wondered if personal watercraft is for you...you've got to read this. 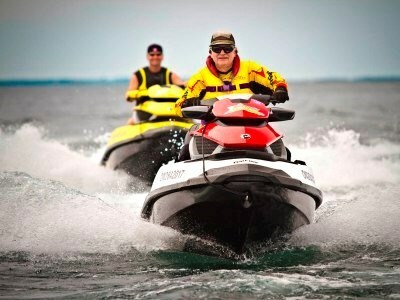 This past summer, a personal watercraft tour of the North Channel was in full swing, as inexperienced and experienced riders took to the water on the new Sea-Doo and Yamaha Waverunner line-up. The crew of six met up with experienced riders to get their take on the North Channel experience by PWC. 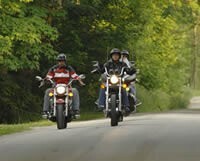 Riders, Tim and Diane Vandersall, spent a total of six days riding the northern shore of Lake Huron and highly recommend it to all adventure seekers. 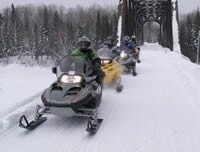 Known as the famous North Channel , this 226 kilometre long stretch reaches from Killarney to Sault Ste. Marie and offers some of the best freshwater riding in the world! Using a personal watercraft to navigate the North Channel allows riders to get closer to the beauty that the area has to offer. 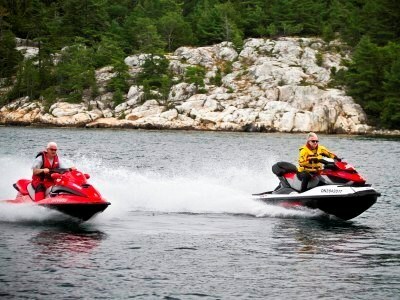 Riding with the Canadian Shield as their backdrop, The North Channel is a boaters' paradise as the shorelines are filled with ideal rest stops such as marinas, gas docks, restaurants, and parks. The area is also heavily occupied with navigational buoys which is great for boaters that are unfamiliar with the area. There are several marinas in the communities that line the North Channel that can provide the provisions you may need. Over 400,000 lakes, rivers and streams and amazing trails, Ontario has the largest backyard playground in North America. Go Ride!